It’s been decades since blackmail forced Troy Callahan to retire from playing professional hockey, and he’s built a successful career behind the bench. When he’s offered the opportunity to coach the Asheville Ravens—the most hated team in the ECHL—he’s convinced that his no-nonsense attitude is just what the team needs to put their focus back on hockey. But Troy is disheartened when he finds that the Ravens have signed Shane North, a player known for his aggression. And it only gets worse when Shane’s rough good looks give Troy inappropriate thoughts about a member of his team, even if Shane’s set to retire at the end of the season. Shane’s career in the majors never quite took off. Wanting to quit on his own terms, Shane agrees to a one-year contract with the Ravens and finds himself playing for a coach who thinks he’s an aging goon and with a team that doesn’t trust him, the coach, or each other. Despite his determination to not get involved, Shane unwillingly becomes part of the team… and is just as unwillingly drawn to the gruff out-and-proud coach. As the Ravens struggle to build a new identity, Shane and Troy succumb to the passion that might cost them everything. I have fangirled over this series since the very first book and I’ve always been a fan of everything I’ve read from Avon Gale. And while I did enjoy this book, I have to admit that it is missing a little bit of the magic that made earlier books in this series so unforgettable. I think this story lacks some of the drama and the personality clashes that I’ve loved in other stories. Troy and Shane are relatively conventional characters in comparison to others in this series. Troy has replaced Laurent’s devilish father as coach of the Ravens and his whole purpose is to bring calm and cohesion to his new team. Shane is a player sent back to the minor league at the end of a long career. The illicit nature of the coach/player affair is very hot and a couple of scenes definitely exploit the pornesque potential of Shane and Troy’s secret relationship. But while the sexual chemistry between them is brilliant, I missed the banter and the playfulness of earlier couples. I love the glimpses we get of characters from previous books. Isaac Drake almost manages to steal the story a couple of times and Max and Misha made me smile. Despite this not being my favourite story in the series, this is still a great sports romance. As always, the balance between the sport, the romance, and the relationships is just about perfect. OMG... I have to say that the fact that both of these men are older was what partially made me love this story so much. This story isn't so much love and romance as it is flames and heat. My goodness, these two couldn't keep their hands off each other. That being said, details were lacking for me in these amazing hot scenes. They couldn't wait, had to have each other, but then literally it was over the next line, so it felt very anticlimactic in that sense. Now what was my absolute favorite part of this story? The banter. My goodness the back and forth between these men was hilarious. They might not have been romantic all that much, but there was definitely a connection and chemistry that showed that they really did care for each other, even if there weren't candles and roses around. I loved seeing Drake as I think he is my favorite character in the whole series. I loved that Shane's friend is a lesbian. Another excellent book by Avon Gale. 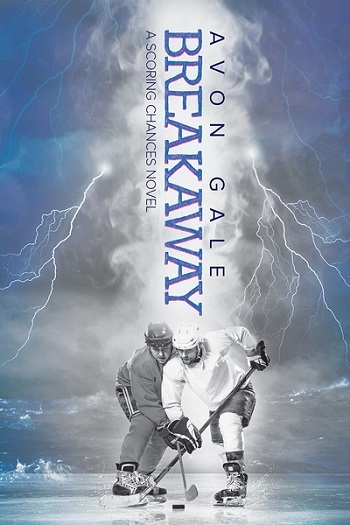 It might be a hockey book (and it really does focus on the sport), but there is so much more there with the characters and secondary characters that makes the book just that much better. This is the fifth book in the series, and I have enjoyed every one of them. In this book we look at the almost seamless, but unnoticed progress from hook-up to relationship between Coach Troy and Shane, a newly arrived team member. It is a super-hot connection which they seem powerless to avoid, and it is fun looking in and watching how it develops. The hockey is good too – and we get to see many of the stars of previous installments as they play their way through the season. As a team with a truly terrible reputation, it is interesting to understand why that happened, and how the situation can possibly be turned around. If you like a strong, thoughtful, and very hot sports romance, then this should be on your to-be-read pile, if not already open on your e-reader. 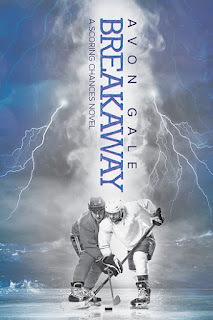 For reviews & more info, check out our Breakaway audiobook post. 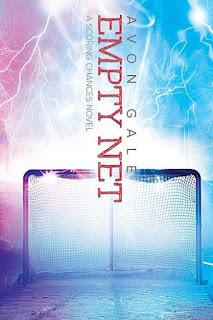 For reviews & more info, check out our Empty Net post. AVON GALE wrote her first story at the age of seven, about a “Space Hat” hanging on a rack and waiting for that special person to come along and purchase it—even if it was a bit weirder than the other hats. Like all of Avon’s characters, the space hat did get its happily ever after—though she’s pretty sure it was with a unicorn. She likes to think her vocabulary has improved since then, but the theme of quirky people waiting for their perfect match is still one of her favorites. Avon grew up in the southern United States and now lives with her very patient husband in a liberal Midwestern college town. By day, Avon is a hair stylist who loves her job, her clients, and the opportunity to spend her time being creative and making people feel happy and look fabulous. When she’s not writing, she’s either doing some kind of craft project that makes a huge mess, reading, watching horror movies, listening to music, or yelling at her favorite hockey team to get it together already. Avon is always up for a road trip, adores Kentucky bourbon, thinks nothing is as stress relieving as a good rock concert, and will never say no to candy. 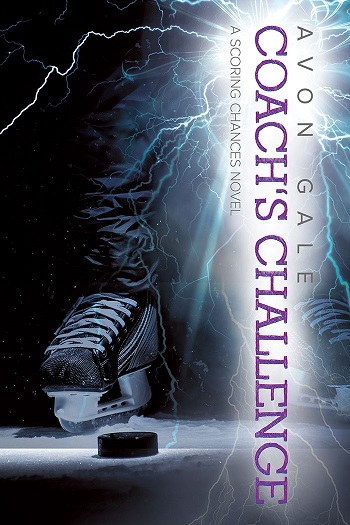 Reviewers on the Wicked Reads Review Team were provided a free copy of Coach's Challenge (Scoring Chances #5) by Avon Gale to read and review.